Former City of Cape Town Mayor Patricia de Lille says her new political party has everything in place to contest the 2019 elections. The announcement comes a month after she resigned from her position as the city’s first citizen and as Democratic Alliance (DA) member last month. “I am inviting all South Africans black, white, coloured and Indian, who are in search of something new that will disrupt our current political system. I am making a call for people to do good things for our country,” de Lille said. The party will contest the 2019 elections in all nine provinces, she said. While the party has yet to be launched, a website has already been set up under the name “For Good”. The name of the party has yet to be made public De Lille said, as her team is still doing “research to test the collateral of the name”. De Lille revealed, however, that the name of her former party — the Independent Democrats — is being tested as a potential name, as well as a “new name” she is considering. It is the first indication that the former mayor might be reviving the ID — which is still registered as a political party with the Electoral Commission of South Africa. De Lille said that she had already referred to global marketing giant Ipsos to research whether support existed for her and a new political party. She said that the survey indicated that support did exist. 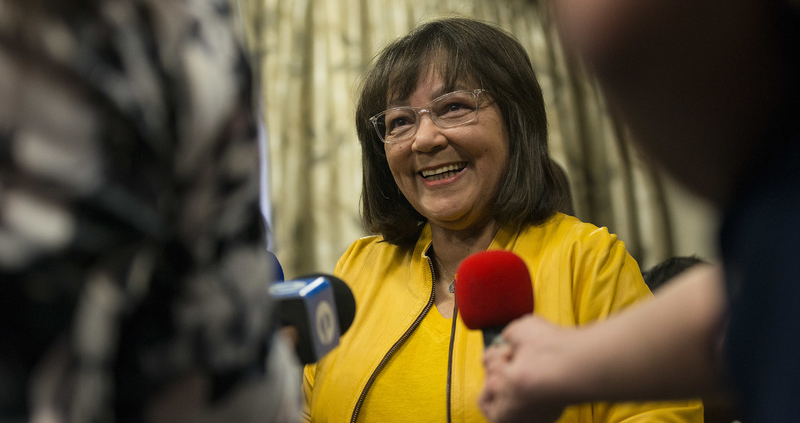 “I am ready to continue to serve my country under a new political movement and I have made the decision based on information and evidence,” De Lille said. 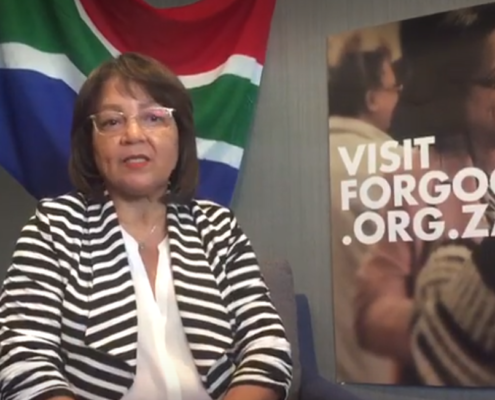 In her announcement, the former mayor spoke extensively on the legacy of apartheid and how her focus would be addressing the imbalances created by the past — including apartheid spatial planning in Cape Town, which has meant that most black people still live on the outskirts of the city, rather than in close proximity to economic opportunity. She said that volunteers have been working on the project for some time, readying to make the announcement. “We were underground, now we can come above board,” she said. The party, she said, is currently unpacking its policy positions in consultation with members of the youth, who she said the party has been working with. Opposition parties have widely welcomed De Lille’s announcement of a new political party. United Democratic Movement’s leader Bantu Holomisa says that De Lille has some value to add to the country’s political space. The Inkatha Freedom Party’s Narend Singh says all the signs were there that De Lille might re-enter the political boxing ring. De Lille says her new political party will live up to the vision she had when she joined the DA and is about providing South Africans with a better alternative. Meanwhile, the DA says it’s unshaken by De Lille’s decision to start a new political party. This is de Lille’s fourth act in South African politics: from the Pan-Africanist Congress, to the Independent Democrats, to the Democratic Alliance, and now to her second attempt at an independent party. de Lille says her new political party will focus on empowering the youth. The party’s official launch will be in January 2019, De Lille confirmed.